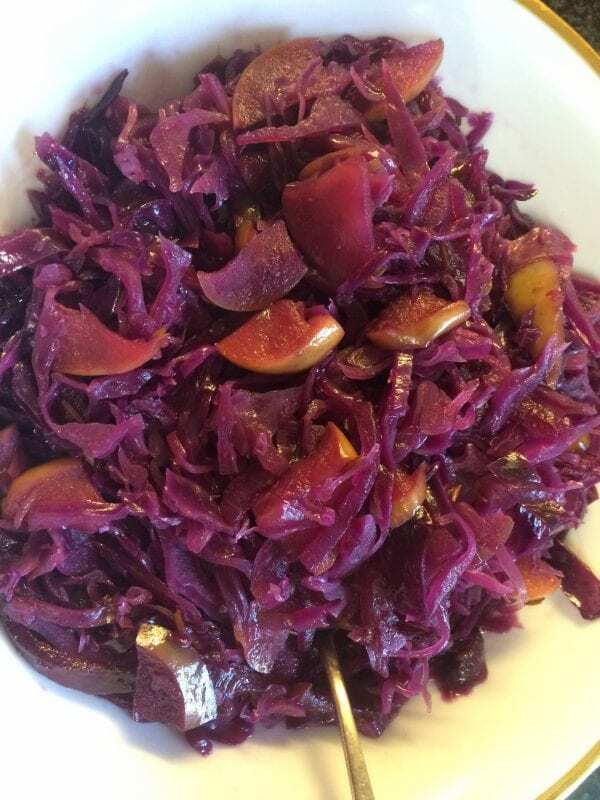 Tamar’s next great recipe was a cabbage side dish that can be made to cover a lot of ground: It’s Pareve, Gluten Free, Organic, and can be made kosher for Passover (depending on the oil you use- Canola Oil is usually considered kitniyot but can be swapped out for another oil to meet your specific Pesach requirements as needed). Braised Cabbage & Apples with Maple Syrup is easy to prepare and adds great color to your dinner presentation. Heat oil in large skillet. When hot, place onions to soften. Add cabbage and apples. Sauté until slightly soft. Add vinegar & maple syrup, salt and pepper. Stir thoroughly. Let stand on heat 20 minutes until soft and flavors blend. A great side dish that is nutritious, delicious and adds aesthetically to your table by adding a splash of color which really stands out. Your guests will love it!